Jacqueline Brito graduated from the Elementary School of Visual Arts (1987) and from the San Alejandro School of Fine Arts (1991), both in Havana. In 1996, she graduated from the Superior Institute of Art in Havana, and has taught at the Institute ever since. 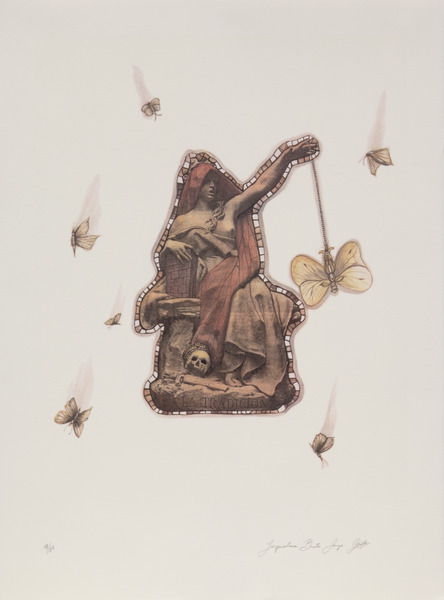 Her solo shows include Doble sentido (Double Sense) at the Hotel Palco in Havana (2011); Zoofismas at the 23 y 12 Gallery in Havana (2010); Recent Works at the Galería de la Aduana in Barranquilla, Colombia (2010); Natural Causes at the Center for Cuban Studies in New York, NY (2007); Recursos internos (Internal Resources) at San Francis of Assisi Convent in Havana (2003); Displacements at Robert Saavedra Gallery in Los Angeles, California (2001); Espejos y ventanas (Mirrors and Windows) at La Acacia Gallery in Havana (1998); and Un pie en el mar y otro en la orilla (One Foot in the Sea and One on the Shore) at the Wifredo Lam Center for Contemporary Art in Havana (1996). She has also participated in several group shows, fairs and auctions throughout the world, including the Biennial of Caribbean Painting in Santo Domingo, Dominican Republic (1996); Sotheby’s International Young Art Auction in Tel Aviv, Chicago, and Vienna (2000); and the 30th Painting Festival at Cagnes-sur-Mer, France (1999), where she won the Award for painting. In 1999 she won the “Painting for Peace” International UNESCO Competition. Her works can be found in many important collections, including the Akron Art Museum in Akron, Ohio; the San Francisco Art Institute in San Francisco, California; the Arizona State University Art Museum in Tempe, Arizona; the Holter Museum of Art in Helena, Montana; the Jablonka Gallery in Cologne, Germany; and the Antonio Pérez Foundation in Cuenca, Spain. De la serie Espejismos (From the series Mirages), 2007. Oil and glass on canvas. 15 3/4 x 15 1/4 in. Tolerancia (Tolerance), 2011. Oil and molded clay on canvas. 79 1/4 x 8 3/4 x 1 in. 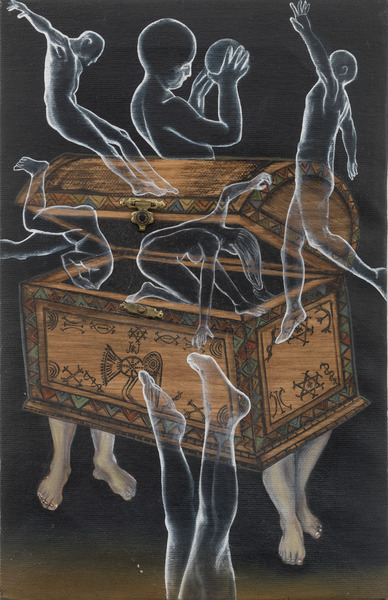 La caja de Pandora (Pandora's Box), 2003. Oil, wood veneer and metal on linen. 13 x 9 in. Tradición, del portafolio Contemporary Prints from Cuba (Tradition, from the portfolio Contemporary Prints from Cuba), 1998.